Sighs, Nigeria is a country of opportunities they say, Companies just come from allover the world just to exploit the non exposure of Nigerians to certain things, Everyday Since i was seven i have hoped for improvement in this particular sector, but the past 11 years has proved to be a waste. Currently we have Airtel, Mtn, Glo, Etisalat and Newly launched Ntel operating in Nigeria(Worthy of Mention). Now, Lets review what they have done to us in recent years. Remember those days where sims were sold for 30,000Naira? Econet(Now Airtel was the ring leader) A form of great exploitation this was, now time changed, its being sold for 150Naira. We became a little exposed. That same period they charge per minute i.e 120naira/min their excuse was that it was not possible to charge per second in Nigeria but a Nigerian Came through for us, Mike Adenuga Ceo Globacom. Hopes were high that he was our messiah then. It had been long in coming, but then in 1996, seven years after it was introduced in the United States, the nation’s telecoms regulator, the Nigerian Communications Commission (NCC) did the right thing. 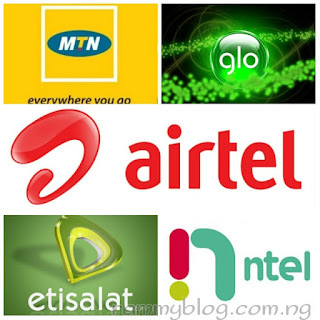 It licenced 38 internet service providers to sell internet services in Nigeria. On January 1st the following year, Linkserve Limited immediately began commercial operations in the country, thus becoming the very first internet service provider (ISP) in Nigeria. The nation, finally, had stepped into the internet age. Yet today, twenty years after, the country is still struggling with the infrastructure of this technology. As of today, Glo offers the cheapest data plans while it also boast of Non-availability of Internet Service in most part of the country. We get 200mb for 1000Naira and the best they could offer us was 300mb for 1000naira. Giving us cheap unlimited access to the internet for a month has been a major challenge to them, instead they give out 15mb when you recharge 200naira then all of a sudden Network appears good, 2g network working like their definition of 3g network. Then you try them for the month, reverse is the case Customer Care representatives becomes your friend. Mtn launched this wow weekend program, where you get 500% of the data you purchase during the weekend, i have to admit i was sold, i subscribed they gave me the awoof data i was happy, Normally Mtn downloads at 200kb/secs when bad and 1mb/secs when at the peak. To my surprise it started downloading at 50kb/secs it barely rose up to 200kb/secs. Then at the end of the weekend they happily took away 3gb of the 5gb i was given. Recently, Mtn and Airtel in particular started searching for customers, Internet Service was the perfect trick they could use. Mtn started with the Double your data plan, Xtrabyte(Where you borrow data and pay later) all are just hoaxes. Then came Airtel with the Social Plan where they gave a canard story on getting 20gb for 200Naira, When i reported it on my blog i labelled it "Stupid and Unrealistic" because am not convinced how they would just decide to be good to us all of a sudden. Two days later they reduced it to 200mb for 200naira and retracted the data they gave out already without notification of any form. Well its legal in a country like Nigeria since there is no law stopping them from doing so in the first place. Etisalat boasts of the best Network speed for browsing, am not disputing that, Buh the fact that their data plans are the most expensive is the major issue. Writing Negatively about them seems to be almost impossible till i remembered they launched a data plan where you get 1gb for 200Naira usable from 00:00 to 5:00 with a day validity. I was not so surprised about the data plan as it is typical Etisalat. Though i do think of Airtel as an alternative till they joined the club by Increasing the price of their night plan and made it un-renewable that night. Now Airtel has started a campaign, They are reviewing the cheap data plans they have making it more expensive, and i would not be mistaken if i say Airtel is the least trusted Network in the country. But am well convinced that if a network provider either from the existing ones of a new company changes the game they would all adjust. But to my disappointment was Ntel that started off with expensive data plans under the canopy of 4g lte. To me the situation we find ourselves in today can be likened with a well -scripted Season movie. Even in Economy recession, Nigerians still thrive to pay them to scam us, August 2016 NCC reported that internet users reduced by 81,415 Subscribers. Its becoming unbearable, and we need a way forward even though it seems impossible. Do You think there is a way forward? Or it would just be the same stories if another company invest in this particular sector? Have Your Say via the comment box below. Good write up, you have said the whole truth.